Oh yeah....we did it! 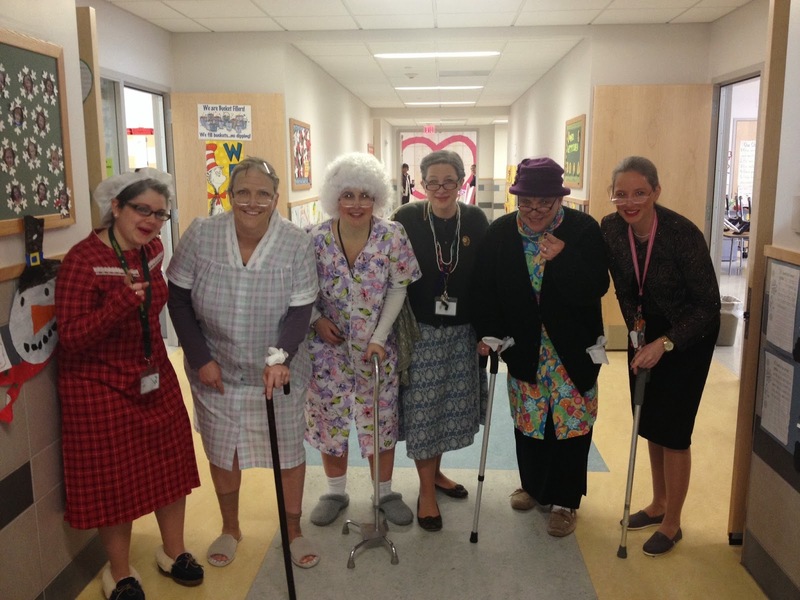 Myself and the fabulous group of gals that make up the first grade team at my school dressed up like we were 100 years old for the 100th day of school. It was a riot! Nothing was better than the tissues stuffed up the sleeves and in the pockets. Since we greet students every morning in the hall I have never been greeted with more stares. Our principal couldn't even look at us without laughing. It was a hoot, I tell ya. In addition to dressing up like geriatric patients, the kiddos enjoyed the 100 piece puzzle challenge. Groups of 4-5 students worked collaboratively to try to be the first group to put together a 100 piece puzzle. 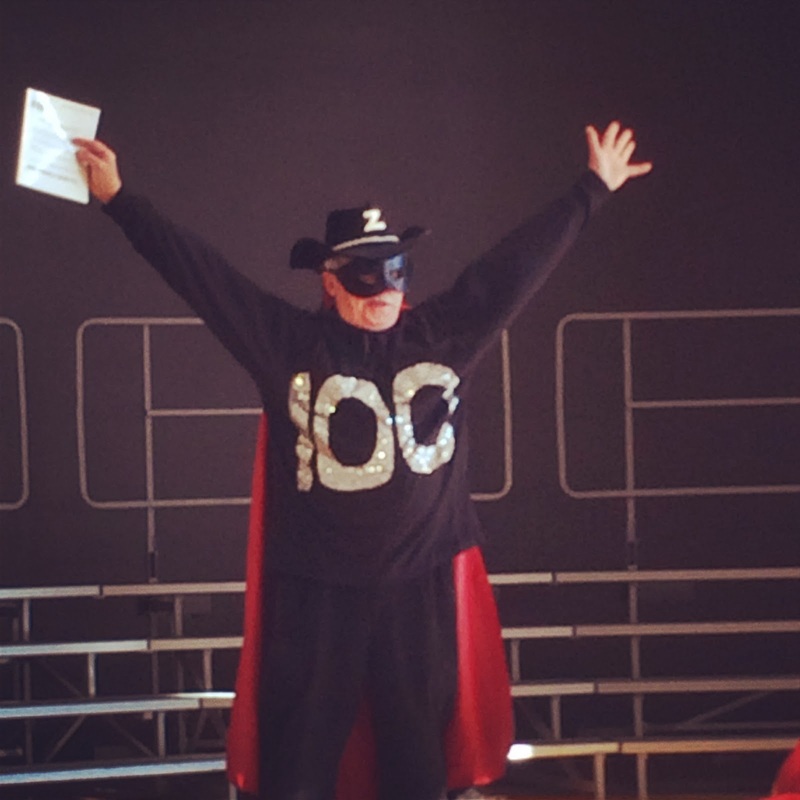 My classroom was filled with parent volunteers who helped us make 100 day hats. We also estimated and measured how much of a cup 100 drops of water could fill, and count by 10's to 100 to complete a 100 day ribbon strand. 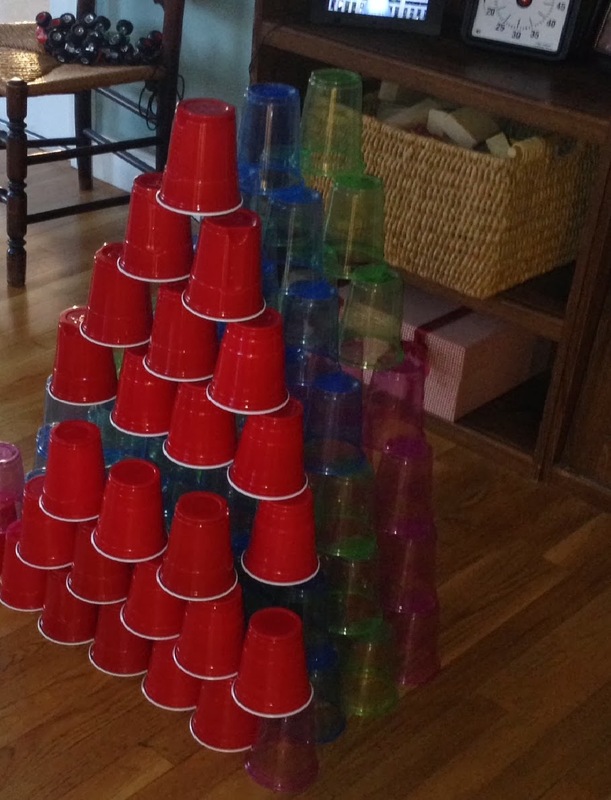 The Solo cup structure challenge of using 100 cups to build a struture proved to be one of the favorite activities of the day so I brought them home to let my own boys argue over them. Needless to say, it took about an half hour until "Hey! I was using that one!" "Stop it!" "Moooom! He just knocked down my whole thing!" Why did I bring these home again?!!! Activity Days are a ton of fun but no lie I was in my jammies by 7PM and in bed before 10. Of course, I saved some time to watch "The Bachelor" and then ask myself later......why? Two hours of my life I'll never get back.